Most motorhomes don’t do high enough mileages to wear their tyres out, but that doesn’t mean you shouldn’t consider different tyres for different seasons or situations. It doesn’t mean they’re going to last longer, either. But, it does help explain why it’s an industry recommendation (not law, merely guidance) that your tyres should be replaced after five years, at most. True, there are some arguments against – primarily environmental considerations – but most experts will argue that sitting around is not what a tyre is designed to do. Some manufacturers do make motorhome-specific tyres – examples include Michelin (Agilis Camping and XC Camping) and Continental (Vanco Camper). Such tyres have tougher sidewalls – making them more suitable to run at higher pressures, but also more rigid to reduce tyre movement and stop the vehicle from swaying around, particularly whilst cornering. There are also differences in the tread compound, which gives the tyres improved grip on wet surfaces and some differences in construction that make the tyre more resistant to abrasions and impacts. It should go without saying all tyres must be correctly inflated. That’s sometimes harder with a motorhome – although any manufacturer and/or dealer should be able to offer recommendations. Bear in mind the wider variations in weight between unladen and fully laden weights of motorhomes and tyre pressures are sometimes a compromise between ride comfort and handling. Nevertheless, it’s not good practice to continuously run a tyre at its maximum load capacity. Tyres not inflated to correct pressures will certainly wear out quicker, as well as having an adverse affect on fuel economy. More importantly, the wrong pressures will affect overall handling, including braking. Get into the habit of checking your tyres on a monthly basis. Don’t forget the spare, either. Checking should be done when the tyres are cold (i.e. before driving on them). Motorhome manufacturers (and their dealers) should be able to provide recommended pressures for the vehicles they produce. If you are struggling to find the correct tyre pressure to reflect the loaded weight of your motorhome, one recommendation is to go a weighbridge with your motorhome loaded for travel as you would for a normal trip, and get the front axle and rear axle weight. Then contact your tyre manufacturer, who should be able to give you tyre pressures for different axle weights – as pressures can differ between front and rear axles for the same weight. These are tyres designed to cope in ice and snow conditions, as well as more extreme damp and cold. You may notice that at temperatures below 7 degrees Celsius, you get less grip – because the tread compound has started hardening. Winter tyres are not a legal requirement in the UK (although they are in some countries), but they are often recommended for use between October and March over here. Check your tread depth. It needs to be 1.6mm across 75 per cent of the tread pattern to pass an MoT. That figure decreases to 1mm for vehicle with a maximum weight over 3,500kg. Bulges, lumps exposed ply cords and more will also result in a MoT failure. Hairline cracks in the sidewall of a tyre should be heeded. They may turn into something much worse. If you run your tyres at over 70psi, use metal bolt-in valves. Consider tyre covers if your motorhome is sitting for long periods (i.e. days) in direct sunlight. Such protection will help prevent UV damage. MMM (Motorcaravan Motorhome Monthly) magazine carried out some in-depth testing of braking distances (February 2015 issue), comparing old and new tyres on a campervan. It found that stopping distances were some 10 per cent more using old tyres – and that was in near-perfect, dry race track conditions. NOTE* “CP” after the rim diameter code denotes a commercial vehicle tyre for service on motorhomes. “C” would denote a standard light commercial tyre. ** “CP” type tyres usually only have a single load index indicating their normal use as a single fitment. Where a twin (tag axle) fitment is needed the axle capacity is 1.85 times that for a single fitment axle. “C” type tyres usually have two load indices (e.g. 109/107). 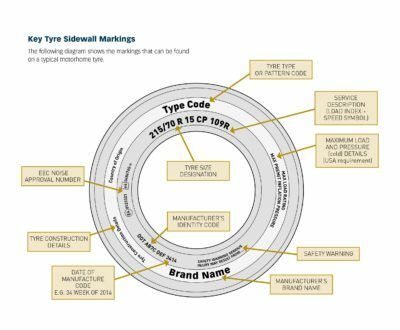 The first load index applies to tyres in single formation and the second applies to tyres fitted in twin (tag axle) formation. I’m thinking of changing my motorhome tyres. What do you recommend? The original tyres for a motorhome are determined by joint consultation between the vehicle and tyre manufacturers and take into account all aspects of operation. It’s recommended that changes in tyre size or type should not be undertaken without seeking advice from the motorhome or tyre manufacturers, as the effect on motorhome handling, safety and clearances must be taken into account. Also, in some other European countries it’s illegal to use replacements which differ in certain respects (eg size, load, and speed rating) from the tyre fitted originally by the vehicle manufacturer. Some motorhome manufacturers provide sealant kits instead of spare wheels and tyres, primarily to keep weight down. Is this OK? It’s recognised that a post-puncture sealant may well serve a useful function if used to move a stranded vehicle to a safe location where a proper internal examination and repair of the tyre may be carried out. In view of the fact that the non-punctured tyre on the other side of the axle may have been overloaded following a deflation it’s important to have both tyres examined. If the distance travelled on a totally deflated tyre is more than a few metres it is likely that the extent of non-visible damage renders the tyre irreparable and, hence, in need of replacement. How important is it to keep within load restrictions? It’s dangerous to overload tyres at any time. The police may take action against drivers when their vehicle is carrying an excessive or badly distributed load. A poorly distributed load can cause overloading of one or more wheels even when the maximum permissible total motorhome load is not exceeded. It’s important to spread the load evenly around the motorhome and as low as possible, thus the stability of the vehicle will not be impaired. Failure to adhere to this rule will invite tyre problems and possibly tyre failure. It’s advisable to make sure the total vehicle operating weight is below the specified maximum limit, and a margin of 10 per cent will partly compensate for some unequal load distribution. To ensure a safely loaded vehicle make use of public weighbridges. Contact your local council if you are unsure where to find your nearest weighbridge. Check your tyres regularly for any signs of damage and remove from the tread any potential penetrations such as trapped stones. Avoid rapid manoeuvres, eg sudden overtaking/lane changes, wherever possible. Good driving practice includes intelligent anticipation of such moves. For that extra peace of mind Tyron safety bands and Tyre Pressure Monitoring Systems (TPMS) can help reduce the risk of an accident. Tyron wheel safety bands help to keep the tyre in place following punctures, blow-outs and under inflation. TPMS systems work by placing sensors either on the motorhome tyre valves or inside the motorhome wheels. These sensors continuously measure the pressure and temperature of the tyres and transmit information wirelessly to a dashboard mounted monitor and sound an alarm if there’s any abnormality. Popular makes include TyrePal or Snooper’s Tyre Pilot. 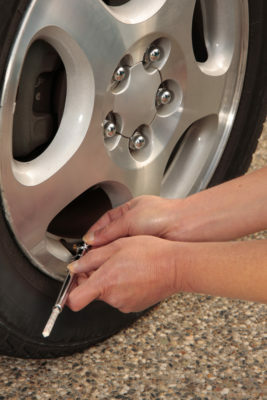 Caravan Guard offers a 5% insurance discount for these motorhome tyre safety devices. Special thanks for helping with this article go to Tyresafe, the charity dedicated to safe use of tyres. More information at www.tyresafe.org. Got any advice on motorhome tyres to pass on to other motorcaravanners? Feel free to add your comments below. Are CP (Camper Tyres) not just 10-ply tyres in a cunning disguise? CP-type tyres are not just 10-ply (10 PR) tyres in disguise, they have been specifically designed for motorhome conditions of use. Meaning that the tyre’s ride and handling, endurance at high continuous loads as well as grip on a variety of surfaces have been designed with motorhome use in mind. 10-ply tyres would have been C-type tyres designed for light commercial (van) use and hence they will not be optimised for motorhome conditions of use. Also if the vehicle was originally equipped with CP-type tyres, the vehicle manufacturer’s tyre inflation pressures may not be correct if 10-ply tyres were used in their place. Hence we would not advise changing the original tyre specification. Thanks for the great feedback David. We had terrible problems getting up a slight slope to our pitch in the rain this summer. We had to use two sets of ramp mats and walked it 60 cm at a time swapping mats over for about 100m. Is there any guidance on how to cope with this, or are there better tyres with more grip suitable for these conditions? A very good article, for the majority of motorhomers. Thanks Nick – we appreciate the feedback. TYRE PRESSURES – HELP US!! They don’t, at least in Swift’s case. What you SHOULD have said is that you should get your motorhome weighed – front axle weight and rear axle weight – when you have it loaded as you would when you travel. It takes 10 minutes and cost me under a tenner. Then contact the tyre manufacturer. Continental Tyres sent me a table with the tyre pressures for the different axle weights for their Vanco tyres that are fitted to our Ducato based motorhome. Pressure differs between front and rear axles for the same weight. The ride on our van is transformed from feeling like a shopping trolley – hard, bouncy and noisy, to resembling a swan on a lake – smooth, quiet and comfortable – as far as you can in a 3.5 tonne van. “Please refer to base vehicle manufacturer’s handbook (Fiat or AL-KO AMC conversion handbook) for tyre pressure information. This may also be displayed in the driver’s or passenger’s door aperture. You should note that your Motorhome is fitted with “Camper Tyres”. Camper tyres meet a specific “CP” (Camping Pneu) standard for tyres on Motorhomes. The Camper tyres on a Motorhome (unlike a commercial van) are designed to carry a significantly higher load for the majority of their life and even when stationery for greater periods of time unlike a van which typically loads and unloads. As a result Camper tyres have stiffened side walls to withstand the increased payloads and pressure on them, this extra reinforcement also gives better vehicle stability on the rear with the heavier rear axle loads typical on a Motorhome. The tyres are also designed to improve mileage (wear) and offer better grip off road. 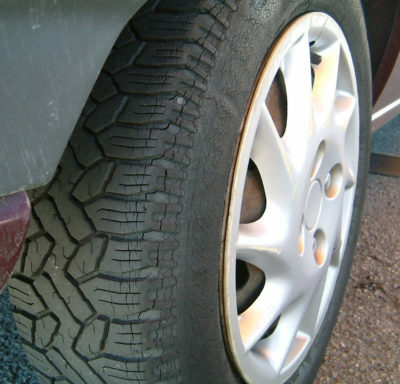 When replacing your tyres we only recommend the fitment of CP or Camper Tyres. How unhelpful is that – why not GIVE us the clarification for the tyres fitted from new. And then the Fiat manual says 80psi front and back. Actually, if I go on Continental’s recommendation, I only need around 50psi for the load we carry. It’s the difference between running on wooden tyres compared to pneumatic tyres! Look; manufacturers OWE IT TO THEIR CUSTOMERS to tell them how to work out the right tyre pressure. TYRE PRESSURE IS A SAFETY CRITICAL SYSTEM. Isn’t it? Would insurers pay out for an accident of they found the tyres were significantly wrongly inflated? It’s high time that insurers, motorhome magazines and Tyresafe got their act together to collectively badger and INSIST that manufacturers give us the weight vs pressure tables that are available from tyre manufacturers and that we need. Do it once of all your customers. It’s stupid to ask us to all to contact the tyre company. OK, if I fit a different tyre later, then the onus is on me to find out the pressures to use. But NOT on a new van. They don’t listen to us. Perhaps they’ll listen to you. Thanks for your comments John. I’ve updated our article with your advice about weighing the ‘van and checking with the tyre manufacturer for those struggling to find an accurate tyre pressure figure and have passed on your comments to Swift to see if it’s something they can look into. Great article will be saving it in my email account.